Why the Procedure of Recovering Corrupt Money Needs Attention? During the last two years in Ukraine, lawmakers have been discussing the possibilities to recover corrupt money and create different models of this procedure. Today, in Ukrainian Parliament, more than five laws are registered and each of them might abuse human rights. Business thinks that this problem doesn’t concern it because employees of the companies are not public officials and cannot be punished. But this is not as simple as we think it is and here is why. As we know, the key government’s task for today is to find money for economic stability by using different methods and one of such methods can be getting back corrupt money. Prosecutor General’s Office decided to implement in Ukrainian legislation the hybrid procedure of non-conviction based forfeiture of assets. First of all, few deputies together with the government thought it would be a good idea simply to write former and allegedly corrupt public officials᾽ names in law and get their asset which is today under arrest. Fortunately, the Parliament understood the core problem of this procedure and did not support the bill. Subsequently, four similar models of this procedure appeared in the Parliament and each one of them is a threat for business. But why? According to the draft laws, non-conviction based forfeiture may be initiated based on any suspicions of “unjustified” assets, which may not be connected with suspected person or crimes and belong to another person or company. It is worth noting that until 2000 in Ukraine major income was hidden. People did not show their earnings as entrepreneurs or got their salary in envelopes against their will which led to the fact when majority of people don’t have evidence of their incomes. As a result, if you do not have proofs, you will not have the possibilities to prove the legacy of your income and your assets might be confiscated. For example: Prosecutor General’s Office has the criminal investigation against a former public official. This former official redesigned one of his biggest flats into a large office and sold it through an intermediary to a branch of an international IT company operating in Ukraine– bona fide owner. In this case, if the prosecutor does not find proves of legacy of buying the flat by either former official or bona fide owner, he will be entitled to initiate non-conviction based forfeiture of assets. Moreover, it creates the presumption that such assets were obtained in unlawful manner and the owner should prove the lawfulness of obtaining this flat and money on this property. In such model the lawmakers are going to violate one of the main human rights guaranteed by the Constitution of Ukraine, namely presumption of innocence and under the guise of public interest might deprive owners of their property. In point of fact, the government wants to shift the burden of proof on the defendant. What is also interesting, that assets include different types of property: money, shares, bonds, treasury bonds, etc. This means that in case owners of shares cannot prove the lawfulness of their incomes (that might be quite a complicated exercise in Ukraine for the moment), they may lose their property rights to such corporate rights. In addition, such model creates a basis for corrupt prosecutors with the purpose to open investigation and initiate non-conviction based forfeiture of assets in order to get a bribe or put pressure on individuals or businesses. We should understand, if non-conviction based forfeiture of assets is opened, goodwill and reputation of corporations will face an unprecedented exposure to risk. 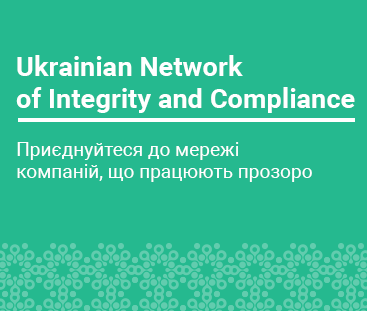 In order to safeguard from such risks every company in Ukraine will have to do an extensive, costly and time-consuming due diligence for any minor thing they buy. Moreover, my current worry is that with such powerful instrument the Prosecutor’s Office can kill any business in Ukraine it would want to by seizing any material asset of a company based on an unproven accusation. Needless to say is that the level of societal trust to Prosecutor’s Office is around 13%. Indeed, if I look at the bigger picture I fully understand that the intent behind non-conviction based forfeiture of assets is right. Similar procedures are used for good in many countries (USA, Italy, and Lithuania). However, we should not forget that the devil is in details and such details appear to be unreasonably damaging for human rights and interest of businesses.